Welcome to Strata Energy News! The energy revolution is underway! Strata Energy News will be covering the latest energy management issues in strata buildings. This is a free monthly newsletter published by Wattblock. 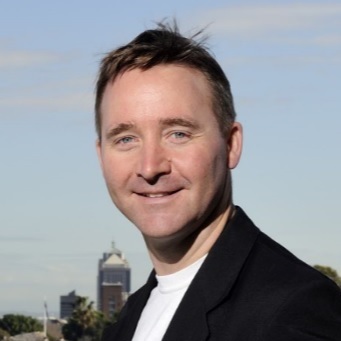 Wattblock is working to reduce carbon emissions and electricity bills across Australia. We have assisted over 600 buildings to improve their energy efficiency and we are working with strata managers to increase revenue and improve customer retention. Find out more about us here. Electric Vehicles (EV) and hybrid cars are set to soar in the coming years according to a recent research report from ClimateWorks Australia. Statistically the average strata building already has 2 vehicles requiring recharge in their carparks and could have as many as 20 by the year 2025. This presents an issue for vehicle owners: Where are they going to recharge overnight? 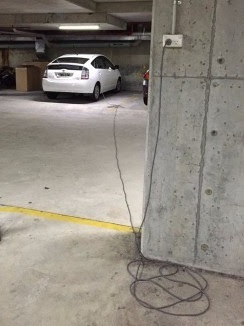 With no charging stations in strata building carparks, they will need to take things into their own hands. Often this results in owners finding the nearest wall socket, and plugging in. As EV ownership continues to grow, so will the problem of the drain on common area power. Electricity bills could skyrocket as more vehicles plug into common area wall sockets. Furthermore, competing electricity demands could disrupt other common area facilities like lifts and lighting. Conveniently, as EVs become more popular, the number of solutions will also increase. There are a number of different charging stations available, including conventional plug-in and wireless options. These can be connected back to the user's private power, and billed directly, or connected to the common power and then billed to the user. For further reading Gizmodo covers the Jetcharge solution for apartments, or you can download the ClimateWorks research report. World's first zero carbon neighbourhood project sees strata managers become "citizen utilities". Shared rooftop solar, battery storage and electric vehicle recharge will benefit residents and body corporate. Grants have been provided to three companies to deliver discounted battery storage. The government wants to see 36 megawatts of energy storage across more than 5,000 Canberra homes and businesses between 2016 and 2020. The C40 Cities Climate Leadership Group has identified that residential properties in cities account for "20-25% of global GHG emissions". There are untapped opportunities for energy efficiency and retrofit actions in residential apartments. Copyright © 2016 Investment Advantaged Software Pty Ltd, All rights reserved.